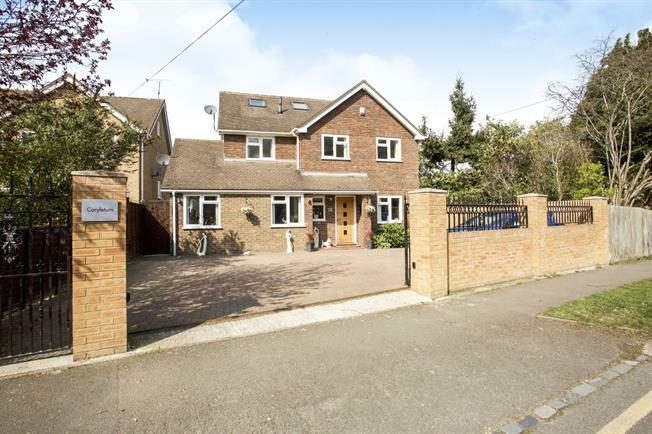 6 Bedroom Detached House For Sale in Bracknell for Guide Price £800,000. A stunningly beautiful six double bedroom, three bathroom gated detached family home, boasting an annexe all being renovated to a high standard sparing no expense throughout .Boasting over 3000 sq foot of excellent adaptable accommodation arranged over three floors comprising three/four reception rooms with two rooms having double French doors allowing access to the veranda covered patio area with a low maintenance 80 ft enclosed garden. Property would be well suited for multi generational living or a large family. In addition of the outside outbuilding comprising of living space and shower room that can be used for various purposes. Driveway parking for five cars.